Can I Receive VA Benefits and Social Security Disability at the Same Time? If you are planning on or already receiving disability benefits through the Department of Veterans Affairs (VA), you may also be eligible to receive Social Security Disability Insurance (SSDI) from the Social Security Administration (SSA). SSDI is administered by the SSA to provide monthly benefits for disabled workers. To receive SSDI, you must have worked enough and paid taxes into the SSA to earn sufficient credits for coverage. In general, that means you must have worked the equivalent of five years of the last 10 years prior to the start of your disability, but that can vary depending on age. While VA disability is only available to military veterans who suffer from a service-related disability, SSDI is available to any worker who suffers from any disability that meets the requirements under the SSA’s guidelines. So, if you have a service-related disability and other medical conditions, you can combine those together to gain approval for SSDI. Unlike VA disability, to get SSDI you must be fully disabled. There are no partial disability benefits under the SSA’s guidelines. The Differences: To receive SSDI you can combine chronic health conditions, injuries, and military-related conditions to prove your disability to receive benefits. The VA will give a disability rating for each condition or injury, such as 10 percent. For SSDI, you must show that you are completely disabled and unable to work to earn a substantial gainful income. For SSDI benefits, you must be unable to work for at least a year or have a condition that is expected to result in your death. With VA disability, you can receive benefits based on the severity or the disability rating that you receive. While you can apply for VA disability because of a service-related disability at any time, you need to apply for SSDI as quickly as possible. Because it is based on credits earned from working, waiting too long to apply can result in your loss of benefits. You can, however, apply for VA disability and SSDI at the same time. These claims are processed using a different approach through different government agencies, so be aware that different information will need to be supplied for each claim. Expedited Claims: If you are a veteran who has been approved for VA disability with a 100 percent P&T disability rating, or if you were wounded in the line of duty after October 2001, you can have your SSDI claim expedited in effort to get faster approval for monthly SSDI benefits. The additional monthly benefits from SSDI can significantly impact your financial situation and help you with your regular living costs. By supplementing your VA disability with SSDI, you can have a major impact on your family’s finances. If you or someone you know is unable to work due to physical or mental impairments, please complete a free online evaluation or contact us at 866-382-7872. Earlier this month, The Washington Post ran a front-page story about Social Security Disability benefits in rural counties, followed last Sunday by an editorial calling for a wholesale restructuring of the Social Security Disability Insurance program. Not only does the Post’s reporting paint a misleading picture about Social Security disability beneficiaries, but the data analysis they published is just plain wrong. The Post’s central assertion—flanked by an interactive map—was that as many as one-third of working-age adults in rural communities are living on monthly disability checks. In a sidebar to the article, the Post says they used publicly available county-level data from the Social Security Administration (SSA) to count “every working-age person who receives benefits through the Supplemental Security Income (SSI) program, the Social Security Disability Insurance (SSDI) program or both.” But the Social Security Administration doesn’t publish the data needed for that calculation. The analysis over counts working-age people receiving disability benefits by nearly 500,000. The SSA doesn’t publish county-level data on SSDI beneficiaries in the age range the Post defines as “working age” (18 to 64). SSA’s OASDI Beneficiaries by State and County report does provide county-level data on SSDI beneficiaries, including disabled worker beneficiaries. However, of the 8,909,430 disabled worker SSDI beneficiaries whom the table breaks down by county, 472,080—or about 5 percent—are age 65 or older. Including these older disabled workers would inflate the share of working-age people with disabilities. It also over counts “disabled adult children” by about 750,000. Approximately 1 million SSDI beneficiaries are disabled adult children (DACs)—people whose disability began before age 22 and who are insured for SSDI benefits based on a parent’s work record. Since the Post claims to count working-age people receiving SSDI, SSI, or both, they need to include working-age DACs. But—contrary to the Post’s data sidebar—there are no data available on working-age DACs at the county level. The same SSA table from above does provide county-level data on one group of “children” receiving SSDI—totaling 1,755,276 in 2015. The problem is, these children aren’t disabled adults—they’re actually the offspring of disabled workers. Most are under age 18, and most are not disabled. Not only does erroneously using this data mean including minors without disabilities, it also inflates the number of DACs by about three-quarters of a million, since the total number of DACs aged 18-64 is 977,776. Moreover, offspring of disabled workers and DACs are likely differently distributed across counties, creating problems in county-level comparisons. It cannot accurately adjust for double-counting the 1.3 million working-age people who receive both SSDI and SSI (a.k.a. “concurrent beneficiaries”). About 1.3 million working-age Americans receive a small amount in benefits from both SSDI and SSI—generally people with very low incomes and limited resources. To avoid double-counting these individuals, the Post would need county-level figures on concurrent beneficiaries. But SSA doesn’t publish county-level data on working-age concurrent beneficiaries. SSA does provide the number of people receiving both SSI and Social Security benefits of any type, but that figure also includes people receiving any other kind of Social Security benefit (such as survivor or retirement benefits). Furthermore, they also include concurrent beneficiaries who are children and adults 65 and older. Both of these issues make it impossible to calculate for working-age beneficiaries receiving both SSDI and SSI at the county level. It is missing data for 106 counties. Mostly because of small population size, SSA doesn’t publish county-level data on SSI beneficiaries for 106 counties. This would be problematic for any county-level analysis. But it is especially notable given that the Post’s article focuses on rural counties—as around 97 of the counties with missing data are rural. It is unclear how the Post treats these counties in their analysis. Misleading media reports can have significant consequences. Just this month, White House budget director Mick Mulvaney once again proposed the idea of cutting the Social Security Disability Insurance program, despite President Trump’s campaign pledge not to cut Social Security. Misleading media reports based on inaccurate data analysis risk giving Mulvaney and others cover to slash critical programs like SSDI. If you or someone you know if unable to work due to their medical conditions, please contact us at 1-866-382-7872 or complete a free evaluation. The Social Security Administration announced the rescission of three previous rulings in the Federal Register on March 27, 2017 – SSR 96-2p: Titles II and XVI: Giving Controlling Weight to Treating Source Medical Opinions; SSR 96-5p: Titles II and XVI: Medical Source Opinions on Issues Reserved to the Commissioner; and SSR 06-3p: Titles II and XVI: Considering Opinions and Other Evidence from Sources Who Are Not “Acceptable Medical Sources” in Disability Claims, Considering Decisions on Disability by Other Governmental and Nongovernmental Agencies. The administration noted that these three SSRs are inconsistent or unnecessarily duplicative with their recent final rules, Revisions to Rules Regarding the Evaluation of Medical Evidence, published in the Federal Register on January 18, 2017 (82 FR 5844). SSR 96-2p explained how adjudicators should evaluate medical opinions from treating sources, including when it is appropriate to give controlling weight to medical opinions from treating sources. The final rules revised these policies for claims filed on or after March 27, 2017, in several ways. For example, adjudicators will not assign a weight, including controlling weight, to any medical opinion for claims filed on or after March 27, 2017. SSR 96-5p explained how adjudicators should consider and articulate their consideration of medical source opinions on issues reserved to the Commissioner in the notice of the determination or decision. The final rules revised these policies for claims filed on or after March 27, 2017, in several ways. For example, in claims filed on or after March 27, 2017, adjudicators will not provide any articulation about their consideration of this evidence because it is inherently neither valuable nor persuasive. SSR 06-03p explained how Social Security considers opinions and other evidence from sources who are not acceptable medical sources and how they consider decisions by other governmental and nongovernmental agencies on the issue of disability or blindness. The final rules revised these policies for claims filed on or after March 27, 2017, in several ways. For example, in claims filed on or after March 27, 2017, the final rules state that all medical sources, not just acceptable medical sources, can make evidence that Social Security categorizes and considers as medical opinions. Also, in claims filed on or after March 27, 2017, the final rules state that adjudicators will not provide any articulation about their consideration of decisions from other governmental agencies and nongovernmental entities because this evidence is inherently neither valuable nor persuasive. Disclaimer: We are a privately owned, nationwide advocacy service. Any information you receive on this site is not intended to be, nor should it be construed as, legal advice. Using this website or contacting us does not create any type of legal or fiduciary relationship. 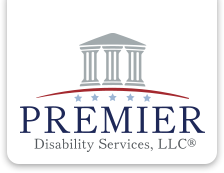 Premier Disability Services, LLC is neither affiliated with nor endorsed by the Social Security Administration or any other government agency or entity.